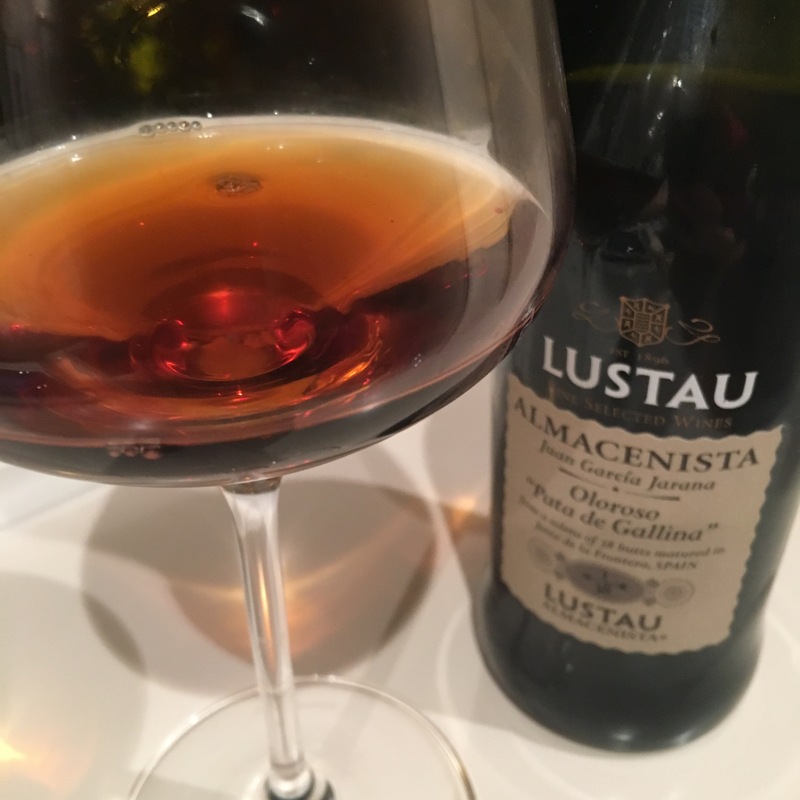 I am a big fan of this wine and it is one of the great values available – really very cheap indeed for what it is, and very hard to resist when you come across a bottle. It is a dark dark colour here and looks for all the world like one of these very concentrated olorosos but the nose doesn’t give you wood and leather but toffee, nuts burnt caramel and mineral smokiness. Then on the palate it is fatty and full bodied, even maybe to the point of being a little heavy, and it is full of flavour, with a nice acidic attack, nice caramel to burnt caramel flavours and a spicey and racey finish. Not too bitter and astringent, in fact quite a sticky sweet finish. Hedonistic wine, even if the bottle is rather small.